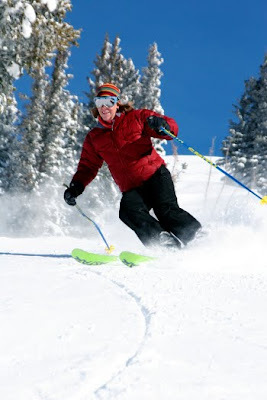 1- Women's Ski Camp in Snowbird, Utah: Snowbird Resort runs two camps- one in January and another in March- that cater to intermediate-and-above skiers. Whether you want to gain confidence on the slopes or bump your skiing up a notch, you'll fit right in. And you'll feel less intimidated learning in small groups led by female instructors. They suggest staying at the Cliff Lodge right on the mountain. A ski-plus-lodging package which includes lunch and lift tickets runs about $1150 for a three-day camp and $1450 for a four-day camp. 2- Cross-Country Skiing in Banff, Alberta, Canada: Banff National Park gets loads of snow, has stunning views of the Canadian Rockies and, with a variety of easy and moderate trails, is a great location for a long weekend or cross-country skiing. They suggest sleeping at the Buffalo Mountain Lodge where rates start at $169 a night.